The Crew is ranked in the 21st percentile of games scored on OpenCritic. So is Ubisoft's open world racer worth your time and energy? It just depends how starved you are for a brand new racing game and your willingness to tolerate its many concerns until they're rectified, if at all. If you aren't, you're better off playing some of the older Need For Speed games instead. And this is it with The Crew; it tries to do so much and excels at nothing. It falls apart on almost every level, and given the potential it had that is a damn, damn shame. There's a game here that wants to be played. It's just buried beneath a game that wants nothing to do with you. It feels like no one at Ubisoft played the game. No one stopped and asked if the game was fun. Or if they did, they knew what they had on their hands and released it anyway in hopes of recouping some of the money spent developing it. It's hard to imagine how a game could go through so many beta tests and still be lacking in so many ways. If a second iteration comes along, as it most surely will, it might be a fun game if they have time to build off the working core. But who's going to play it? The Eden Games heritage of Ivory Tower shines through in just about every element of the game - including, sadly, the awful story. The social features are also a little underwhelming, and there are much better looking driving games out there. Yet for every stumble, The Crew makes a huge leap. It's so immediate, with very few loading screens, and the fact that you'll probably never race on the same route twice cannot be understated. It's a game changer, and I'm somewhat concerned that I'll never be able to play a normal circuit racer ever again. The Crew does a lot of things right. Not only does it give you a huge game world to explore, but the ability to change up the whole experience by tuning your car differently is an excellent addition to Ivory Tower's ambitious racer, allowing you to take one car and do so much more than just a mere race. Apart from the microtransactions you cannot go wrong here by jumping behind the dashboard of your favourite car and taking off into the sunset across the desert. Giving you the ability to drive from coast to coast across the USA with tons of goodies in between is what makes The Crew a dream world to explore. I know many people have been skeptical of The Crew, and after playing it, I have no issues. Just exploring the world was a blast for me. My time spent with the game was very enjoyable, and with some friends it is even more fun. It has a few issues, but The Crew is a fun game with an action movie story that I think many will enjoy especially in co-op. And the strange thing is, you'll probably want to try it at some point, just to find another excuse to criss-cross the continent absorbing the scenery and the Americana. There's no doubt that a huge part of The Crew's appeal is nostalgia for US road trips, whether previously experienced or just imagined. No game has mined that cultural seam quite so authentically or with such all-encompassing ambition. It's a game that requires and occasionally enforces patience, but like all great road trips it's about the journey, not the destination. The Crew offers you the entire countryside to explore solo or with friends (or strangers), plenty of cars, customization options, and a narrative that extends a purpose beyond "being the best" to get your motor running. Ubisoft's familiar structural pitfalls like microtransactions, online-only play, and other trappings hinder rather than enhance, but those things have become par for the course by now. Thankfully, they don't mar the overall experience, and that was an overtly positive one for me. I don't need a crew to cruise downtown Chicago or the west coast. I was just fine going it alone. And if you settle in for a few hours and let the game take you, I surmise you will be, too. If you've been clamoring for a new open-world racer the likes of which we haven't seen since Burnout Paradise, I am happy to report that The Crew fits the bill. A mixture of MMO and arcade-sim racing, you better ensure you have a steady Internet connection, or else face frustration. Hopefully a patch in the future will enable offline play, because to see all of the game's terrain will take a long time, perhaps even longer than Ubisoft will keep the game's servers online. All of the United States' major landmarks are here and wonderfully detailed. 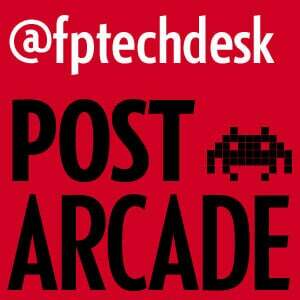 Vehicles' handling lay somewhere between arcade and simulation, though you can tweak this. Online play is very rewarding, but is over-emphasized at times. With such a massive world to explore, and an addictive leveling system, fans of this genre will be busy for months to come. Ivory Tower did have some great ideas in putting together The Crew, but they don't all pan out the way they should. Getting new cars can take forever, and some of the missions are a tremendous pain on your own. However, if you've got a few racing buddies that don't mind cruising with you, you'll find the game's true potential – and even have some fun while you're speeding along. So grab some friends if you can. Otherwise, if it's a single player endeavor you're after, you might consider Forza Horizon 2. For the short time that I have had with The Crew, I have had a lot of ups and downs. I certainly see the promise in this game, but I don't have the patience or the social circle to really take advantage of it. Nonetheless, I just keep playing, interested in seeing what I can unlock next. Personally, I'd recommend The Crew to anyone who has a dedicated circle of friends who would play with them, who all have great internet connections. If you do, this game is pretty awesome, and possibly even a better format than a lot of other driving games out there. If you don't, the game can get frustrating at times. This is a "your mileage may vary" sort of game, good, but really only appealing to a very specific type of gamer. I'll let you know if my opinion changes with more time... and more friends. Ditch the lame story, work in more customization and more exciting races, and The Crew is solid roadwork for what could be a fantastic MMO ride. Take away its vast environment and The Crew is decidedly mediocre. But the enjoyable story and great sense of actually driving, whether alone or solo, means there's plenty of fun to be had all the same. If you'd have asked me after hour five what The Crew was, I would have said a solid 50% score. Hour ten? 60%. Thankfully though, the home straight is what saves The Crew from being just another average racer and with its incredibly game world, it's worth dipping your toe in. Just don't expect it to get decent for a long time, but when it does, it's almost worth the wait. One of the most exciting racing game environments for years, unfortunately bound to a slew of dull races and superfluous story. The Crew is a fantastic tribute to American car culture, but not a fantastic racing game. The Crew is a vast, expansive driving game that packs a solid story mode and tons of things to do. However, much of its endgame content feels like repetitive filler. 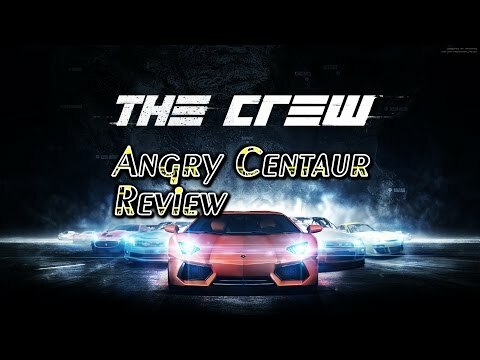 The Crew is a reasonable racing game with tons of gameplay modes and an absolutely massive world, however its bland story dents the experience. The Crew is a very ambitious game that did suffer from day one release issues. Thankfully most have been patched but there are still a few graphical issues and gameplay nuances that can cause controller rage. Although the story is relatively forgettable, I actually did enjoy driving around American in its "free mode" and when engaged in missions, some were extremely difficult due to the control mechanics and insane difficultly of the AI. Nonetheless, it's an interesting racer that is probably a little too ambitious for most but definitely recommended for those not time poor! The Crew has a fantastic open world to explore and some excellent racing, but too much is second-rate about the visuals, the handling, the narrative and the mission design for it to make the most of all that good stuff. It's worth playing for the scenery, the challenges and the variety of the gameplay, but it's neither polished enough nor consistently strong to stand up to Forza Motorsport 2 as a thoroughbred next-gen racer. The Crew had an amazing game on their hands until they ruined it with the must win condition. This game was made for 12 year olds that watch the Fast & Furious movies and believe everything in them is real. In all, The Crew can be enjoyable for some casual cross-country joy rides, especially if you have some friends to drive along. However, it comes up entirely short of most of its goals, and makes a wreck of car handling and competition for the sake of lackluster MMO mechanics. The Crew is quite the ambitious undertaking by a brand-new development studio that offers some fresh ideas for racing games, but it hits a few bumps and roadblocks along the way. It pains me to say it seeing as I had such high hopes but The Crew missed its mark by a long shot and just barely chugs over the starting line. The Crew is worth a go if you're into racers. You might love it. But there's a better than good chance that the niggling issues will prevent that from happening. The Crew's an okay racer, but when stacked up against its competitors it really falls short. Open-world fans would be far better off picking up the likes of Far Cry 4, while racing fans have been spoilt rotten in recent months with the likes of Forza Horizon 2, GRID Autosport, and DriveClub. A terminally dull storyline gets in the way of what is an epic-scale racing game, and its huge landmass can be a genuinely exciting experience driving across, it's just a shame it's spoiled by so many niggling problems. There are some genuinely great things about the racing action, the beautiful environments, and the vehicles are incredible looking, but overall the physics bugs and frustrations outweigh the adrenaline and elation of winning. Ubisoft may want us to form crews and connect with fellow racing fans, but as it stands, we'd rather just get behind the wheel, turn up the radio and explore this staggering country by ourselves. Despite delivering an impressive playground that captures the spirit of America, The Crew struggles to build out a worthwhile game experience around it, resorting to frustrating missions, insipid storytelling, and off-putting microtransactions. I really want to love The Crew. The in game world is absolutely huge and it's filled with a great deal of content – it looks brilliant at times too. Although the handling takes some time getting used to it does feel natural as the game begins to open up. Despite that, the driver AI can be infuriating at times, as with the traffic placement which I refuse to believe is a coincidence. The online doesn't feel well integrated either and the story is uninspiring. If you know that you have friends playing The Crew it could turn out to be a great arcade racer, but if you're playing solo for the majority of it, it will no doubt start to feel lifeless and lacking a bit of soul. An odd mix of Test Drive Unlimited, Assassin's Creed, and Destiny. And while the combination is tastier than it sounds it also has an awful lot of lumps in it. The Crew is a decent racing game that's weighed down by its constantly online mechanics. The missions and challenges are nice, but if you don't have friends, you'll be hard pressed to find them in the game. This drastically reduces the amount of fun you can have in it, but even if you do have buddies, you might be hit with surprise disconnects or errors that can temper most groups, no matter how enthusiastic. Ambition is both The Crew's greatest asset and greatest downfall. Somewhere buried in The Crew, beneath the bloated content and the MMO shenanigans, is a competent racer featuring the perfect road trip. But for a game whose primary strength is freedom, there should have been more objectives and more incentives to explore its world with friends, instead of copy-and-pasted skill challenges and missions tangled in a confounding plot that's hard to forget for all the wrong reasons. Ubisoft set out to create a social racing game with a story. While the story aspect is completely forgettable, Ubisoft did do an excellent job in setting up a racing MMO-like experience. Mechanics like experience and money couple with exploring new territory in a way that tickles the RPG gamer in me. Unfortunately if you attempt to play The Crew by yourself, are hoping for simulation racing with loads of detailed cars or state-of-the-art visuals, The Crew will likely disappoint on those items. This turns The Crew into an interesting experiment that only makes for a decent game. If you are a die hard racing fan with some friends who are playing this you MIGHT enjoy The Crew. Sadly though this is a classic case of biting off more than you can chew. The idea was great but they needed more time to polish up and add things to it. This road trip is one you can skip out on. The Crew's magnificent automotive American playground and high-octane multiplayer road trips are sensational, but the tragedy is that Ubisoft and Ivory Tower didn't know when to stop. I wanted to like The Crew. The Crew is not a bad game but one targeted at a very specific group of gamers. Not quite the pure race and unlock gameplay offered by other car titles and not enough of the usual trappings us twisted MMO fans look for to find a long term home on my hard drive. In short, it's a fun distraction for the short term but unless this is the kind of meal you'd like to eat three times a day for the next twenty five years, you are going to find yourself not quite sated by what The Crew has to offer. While ambitious in attempting to craft a living breathing world with tons to do, it falls short with poor driving and being loaded with superfluous content intended to run up the play clock. The co-op is fun but recommending a driving game where the main activity of driving is no fun is a tough sell. The world of The Crew is remarkable, but rarely has a great asset been squandered so tragically on a framework of dull grinding and insipid storytelling. 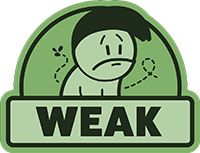 The Crew has a fantastic open world to explore and some decent ideas, but the rest of the game falters with every rev of the engine. For years developers have been hunting the white whale of being the biggest and the best. Like Captain Ahab's fabled story, this hunt can often lead to ruination. Sure you've done a lot of things along the way and certainly have some stories to tell, but The Crew sits as an empty shell, capable of housing so much more. It's clear to see that The Crew had potential, but the promises it made just simply aren't realised in the final product. While the thought of a digital America to drive across is certainly exciting, The Crew does a very bad job of executing on it and building an interesting environment to drive around in and discover. And when the bland world is combined with an easily forgettable storyline and the worst car handling we have ever experienced in a videogame, it's easy to understand why we did not have any fun with the game. The levelling up system and car customisation are the two good things among an otherwise hugely disappointing feature set. The Crew promised so much, but delivered so little. Not terrible – just so very disappointing. The Crew is an overenthusiastic attempt at marrying racing gameplay and multiplayer to a massive open-world driving map. Unfortunately, repetitive missions, cheap AI, and poor balancing hold the game back from greatness despite its impressive and detailed world. 'The Crew' is a strained lovechild of 'The Fast & the Furious', a pay-to-win MMO, and the "always on and never alone" character of social media. Under the grimey physics, abusive AI, and lame story, there is almost a decent casual racer here. The distinction between city environments makes it somewhat fun to drive around the country, even if the tedious missioning and lack of a real reason to play in co-op undermine its charm. If you are a fan of racers, there are far better places to spend your money. The Crew has a lot of missions and environments to explore, but there are myriad issues that get in the way of its positive aspects. The Crew attempts to take the United States by storm, but ends feeling more like a drag than an actual race. A title like The Crew has to be more than a glorified "Google Earth" simulator or a VOIP chat client - especially if it's advertised as a "revolutionary action car and driving game". The Crew is a game filled with missed opportunities and unfulfilled potential. The promises hammered upon during development fell short in almost every way, with the exception of the car creation. On top of that, the story found within The Crew is embarrassing and provides more laughs than it does drama. Ubisoft took a huge swing and missed by a car length, it is time for them to put The Crew back in the garage for an overhaul. I realize now that I wish that this game could make me feel like an outsider in a strange town: That feeling is America. And The Crew has none of the licentious anticipation for the fictional pile-up, nor any of the guilty pleasure of rubbernecking—American pastimes, both. The missions never just say "Get to Wyoming," and then let me plot my own foolhardy, American route there. They don't even let you look at the map. Just trust the waypoints and go. When the great void of the map greeted me for that final time, I just shrugged my shoulders and mouthed "why," before turning the console off. I've never been so happy to be able to move onto something else in my life. There's a good game buried here, and when they finally plant the headstone, the cause of death will be chiseled as "trying too hard."